Donor Point Marketing, http://www.donorpointmarketing.com, a specialized direct response fundraising agency,has been named the Direct Response Agency for The Seeing Eye, Inc.
We are very excited to be partnering with Donor Point. Their data-driven approach and their ability to bring bold new strategies will allow us to take our fundraising program to the next level,” says Nancy Fondaco, Annual Fund & Membership Officer. Donor Point will be working with The Seeing Eye to maximize performance of the pioneer guide dog school’s direct response fundraising efforts including strategy, analytics, design, digital, production, reporting and account management. 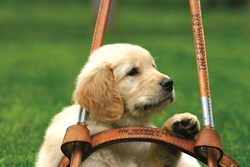 independence, dignity and self-confidence through the use of Seeing Eye® dogs. More than 16,000 of these specially bred and trained dogs have brought a new level of mobility, safety and self-sufficiency to over 8,000 men and women.